Logging is a must for today’s developers; that’s why we built Retrace with a built-in, centralized log management tool to enable you to collect all your log data in one place for streamlined monitoring and better insights. Retrace works out-of-the-box with your stack, including Linux, Azure, MySQL, Windows, AWS, Oracle, MongoDB, and more. And, it includes all the features you need in a log management tool (log tailing, full-text searching, structured logging, monitoring and alerting, etc. ), plus it’s integrated with error tracking for a seamless experience. 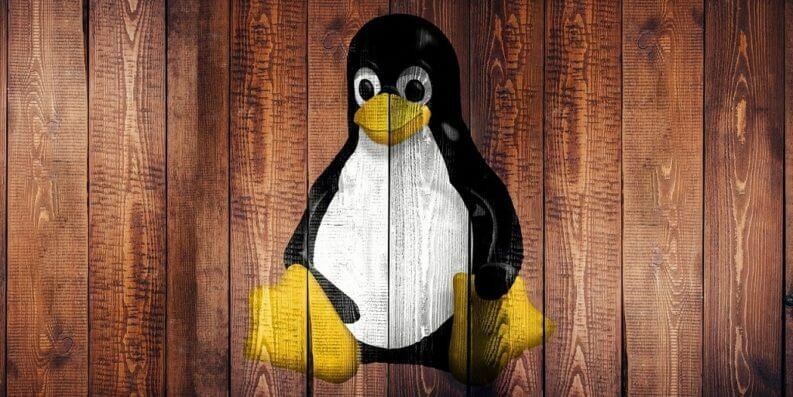 Linux logs provide a timeline of events for the Linux operating system, applications, and system, and are a valuable troubleshooting tool when you encounter issues. Essentially, analyzing log files is the first thing an administrator needs to do when an issue is discovered. For desktop app-specific issues, log files are written to different locations. For example, Chrome writes crash reports to ‘~/.chrome/Crash Reports’). Where a desktop application writes logs depends on the developer, and if the app allows for custom log configuration. Files are stored in plain-text and can be found in the /var/log directory and subdirectory. There are Linux logs for everything: system, kernel, package managers, boot processes, Xorg, Apache, MySQL. In this article, the topic will focus specifically on Linux system logs. You can change to this directory using the cd command. You’ll need to be the root user to view or access log files on Linux or Unix-like operating systems. Linux logs can be viewed with the command cd/var/log, then by typing the command ls to see the logs stored under this directory. One of the most important logs to view is the syslog, which logs everything but auth-related messages. You can also view logs via dmesg, which prints the kernel ring buffer. It prints everything and sends you to the end of the file. From there, you can use the command dmesg | less to scroll through the output. If you want to view log entries for the user facility, you need to issue the command dmesg –facility=user. Lastly, you can use the tail command to view log files. It is one of the handiest tools you can use, since it only shows the last part of the logs, where the problem usually lies. For this, use the command tail /var/log/syslog or tail -f /var/log/syslog. tail will continue watching the log file, and print out the next line written to the file, allowing you to follow what is written to syslog as it happens. Check out 20 ways to tail a log file post. For a specific number of lines (example, the last 5 lines) key in tail -f -n 5 /var/log/syslog, which prints the most recent 5 lines. Once a new line comes, the old one gets removed. To escape the tail command, press Ctrl+X. /var/log/syslog or /var/log/messages: general messages, as well as system-related information. Essentially, this log stores all activity data across the global system. Note that activity for Redhat-based systems, such as CentOS or Rhel, are stored in messages, while Ubuntu and other Debian-based systems are stored in Syslog. /var/log/auth.log or /var/log/secure: store authentication logs, including both successful and failed logins and authentication methods. Again, the system type dictates where authentication logs are stored; Debian/Ubuntu information is stored in /var/log/auth.log, while Redhat/CentrOS is stored in /var/log/secure. /var/log/boot.log: a repository of all information related to booting and any messages logged during startup. /var/log/maillog or var/log/mail.log: stores all logs related to mail servers, useful when you need information about postfix, smtpd, or any email-related services running on your server. /var/log/kern: stores Kernel logs and warning data. This log is valuable for troubleshooting custom kernels as well. /var/log/dmesg: messages relating to device drivers. The command dmesg can be used to view messages in this file. /var/log/faillog: contains information all failed login attempts, which is useful for gaining insights on attempted security breaches, such as those attempting to hack login credentials as well as brute-force attacks. /var/log/cron: stores all Crond-related messages (cron jobs), such as when the cron daemon initiated a job, related failure messages, etc. /var/log/yum.log: if you install packages using the yum command, this log stores all related information, which can be useful in determining whether a package and all components were correctly installed. /var/log/httpd/: a directory containing error_log and access_log files of the Apache httpd daemon. The error_log contains all errors encountered by httpd. These errors include memory issues and other system-related errors. access_log contains a record of all requests received over HTTP. /var/log/mysqld.log or /var/log/mysql.log : MySQL log file that logs all debug, failure and success messages. Contains information about the starting, stopping and restarting of MySQL daemon mysqld. This is another instance where the system dictates the directory; RedHat, CentOS, Fedora, and other RedHat-based systems use /var/log/mysqld.log, while Debian/Ubuntu use the /var/log/mysql.log directory. Dec 19 16:49:31 localhost syslogd 1.4.1#17ubuntu3: restart. Jun  1 22:20:05 secserv kernel: Kernel logging (proc) stopped. Jun  1 22:20:05 secserv kernel: Kernel log daemon terminating. Nov 27 08:05:57 galileo kernel: Kernel logging (proc) stopped. Nov 27 08:05:57 galileo kernel: Kernel log daemon terminating. /var/log/daemon.log: tracks services running in the background that perform important tasks, but has no graphical output. /var/log/lastlog: information about the last logins for all users. This binary file can be read by command lastlog. /var/log/pureftp.log: runs the pureftp process that listens for FTP connections. All connections, FTP logins, and authentication failures get logged here. /var/log/spooler: rarely used and often empty. When used, it contains messages from USENET. /var/log/xferlog: contains all FTP file transfer sessions, including information about the file name and user initiating FTP transfers. Understanding the usefulness and limitations of Linux logging is important for any professional working with them. What Linux logs do you consider most important to monitor? Leave your thoughts in the comments below.